Sceales Lawyers is a Perth-based law firm established in 1994 by Robert Sceales. We advise principally in relation to taxation, general commercial, trusts, wills and estate matters. Our clients include accountants, solicitors, large and small private and public companies, family businesses, charities and non-profit funds, Aboriginal endowment foundations, and private individuals. We regularly advise on instructions from accounting and other law firms for their clients, with complete respect for their on-going client relationships. We pride ourselves on providing expert advice and documentation, quick and cost-effective delivery of services, direct communication, clear solutions, and utmost confidentiality of service. Robert Sceales is the Senior Partner of Sceales Lawyers. He commenced practice as a lawyer in 1971, in South Africa. He moved to Perth in 1986, and practised with a large law firm until establishing Sceales & Company in 1994. He has extensive experience in all areas in which the firm advises, particularly in relation to all Commonwealth and State taxation matters. 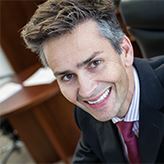 Alex Sceales commenced practice as a lawyer in 1998, with a national law firm. He joined Sceales Lawyers in 2003, and was admitted to the Partnership in 2007. He practises in all areas in which the firm advises, with a particular emphasis on commercial matters, and commercially oriented tax advice. He is a member of the Law Society of Western Australia, a member of the Tax Institute of Australia, and a member of the Australian Institute of Company Directors. 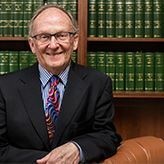 He is admitted to practise in the Supreme Courts of Western Australia and of New South Wales, and in the Federal and High Courts of Australia. He is a Chartered Tax Adviser. Jocelyne Boujos has been a partner at Sceales Lawyers since 2003 and has practised in commercial and taxation law for over 25 years, commencing her career in the Australian Taxation Office. She advises clients, including indigenous charitable trusts, in relation to taxation and trust matters including superannuation and estate planning and on managing ATO compliance activity, rulings and tax dispute resolution. Jocelyne has a long involvement with professional education, including lecturing in Master of Tax programs. She is a member of the Society of Trust and Estate Practitioners and of the taxation committees of the Law Council of Australia and the Law Society of Western Australia, is a trustee of the Graduate Women Education Trust and is on the Council of the Law Society. She is a Chartered Tax Adviser. Sam Radici commenced practice as a lawyer in 2003 and spent 9 years working in a national law firm. Prior to becoming a lawyer, he worked in various accounting firms and qualified as a Chartered Accountant. Sam joined Sceales Lawyers in September 2018. He practices in all areas in which the firm advises, with an emphasis on commercial and taxation matters. He is a member of the Law Society of Western Australia and a member of the Chartered Accountants Australia and New Zealand. Sam has also completed a Master of Taxation through the University of Melbourne. He is admitted to practice in the Supreme Court of Western Australia and the Federal and High Courts of Australia.